SHREVEPORT, LA (KSLA) - KSLA News 12 This Morning anchor Adria Goins will take part in Dancing for the Cure this weekend. The competition featuring celebrity contestants from throughout the ArkLaTex has become a big fundraiser for Susan G. Komen North Louisiana. 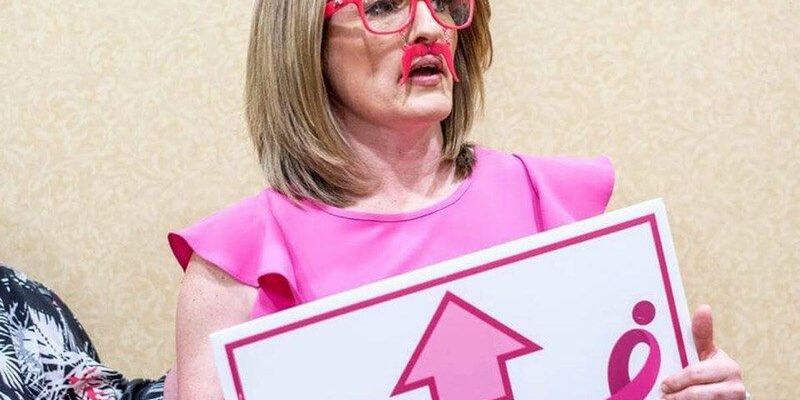 "The money stays local," said Kelley Matkins, mission coordinator for Susan G. Komen North Louisiana. "It's so exciting to see funding go into local programs to help people who don't have health insurance get a screening mammogram. This might be a woman who just lost her job, lost her health benefits, or maybe the spouse lost his job and health benefits. She can still get that screening mammogram through Komen." Women diagnosed with breast cancer can use Komen for help with things like gas cards to get them to and from appointments or financial help, paying for things like an electricity bill during treatments. Catherine Wright thought she was going to die when she was diagnosed with breast cancer in 2004. Fourteen years later, she's alive and thriving. Wright's experience with breast cancer motivated her to start the C. Wright Pink Ribbon Project. "The Lord brought me through breast cancer so that I could help women and be true in what I do because I've been where they are. I've been in the trenches." Wright started the program to help women in need of financial support while battling the disease. Susan G. Komen North Louisiana gives the C. Wright Pink Ribbon Program financial assistance each year so it can help women and men in our community. That's why fundraisers like Dancing for the Cure are so vital to Susan G. Komen North Louisiana. If you'd like to help Adria Goins raise funds for Susan G. Komen North Louisiana, click here to vote for her as People's Choice before Dancing for the Cure. Dancing for the Cure will be held from 7 to 10 p.m. Saturday in the Horseshoe Riverdome, 711 Horseshoe Blvd. in Bossier City. Tickets cost $25 each. You can buy those by clicking here. And click here to vote for People's Choice before Dancing for the Cure.